The self-titled debut album from ABBATH, the band led by ex-IMMORTAL frontman Olve Eikemo (a.k.a. 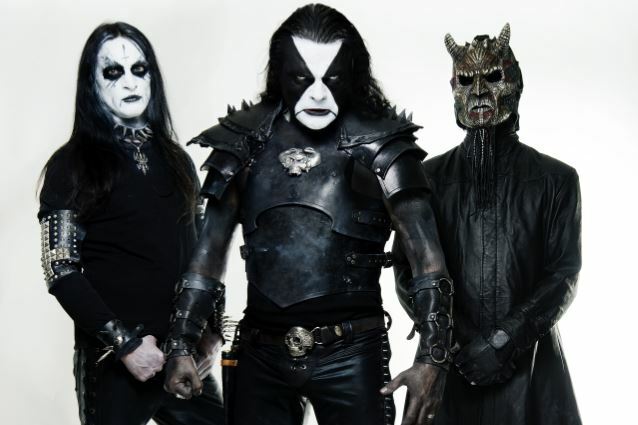 Abbath), can be streamed in its entirety below. 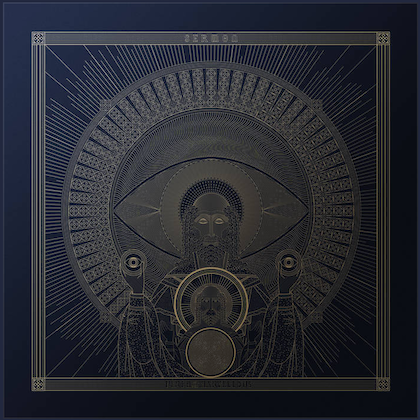 The CD will be released on January 22 via Season Of Mist. The album can be pre-ordered at this location. 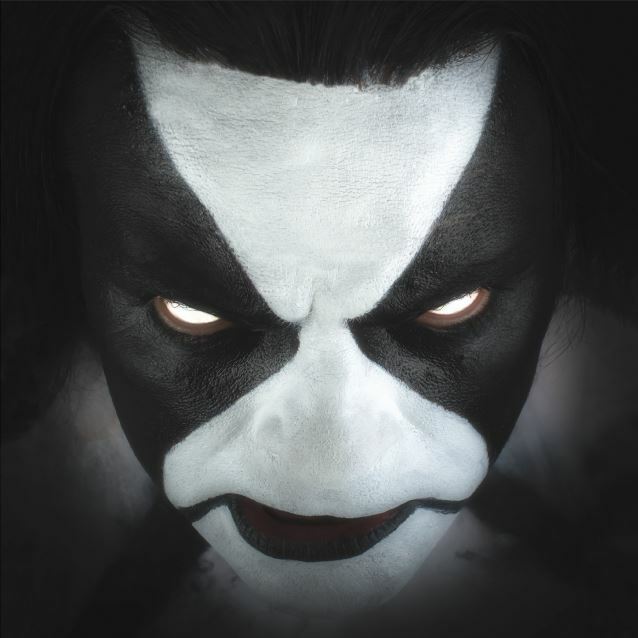 ABBATH released a seven-inch single, "Count The Dead", on December 11 via Season Of Mist. The A-side features the title track while the B-side consists of a cover version of the JUDAS PRIEST classic "Riding On The Wind". Bass duties for ABBATH are being handled by a man familiar to metal fans across the world — Tom Cato Visnes, more widely known as King Ov Hell and main composer for several GORGOROTH albums as well as his own bands OV HELL, with singer Shagrath from DIMMU BORGIR, and GOD SEED, with exceptional black metal vocalist Gaahl. In a recent interview with Australia's TheMusic.com.au, Abbath spoke about the circumstances surrounding his departure from IMMORTAL and his decision to launch a new group. "I feel like I've been fired," he said. "It was never my intention to go solo but I really feel like I've been forced into it. 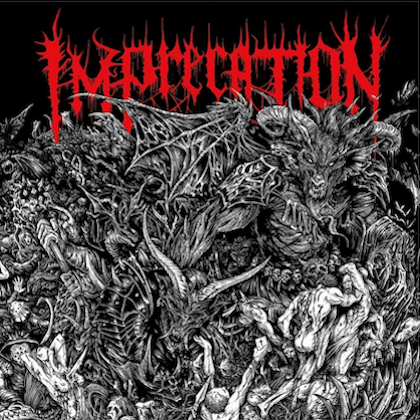 Apparently they [lyricist/guitarist Demonaz and drummer Horgh] are going to continue on [as IMMORTAL] without me and that's fine — but it was very disappointing that no one, not even [IMMORTAL's record label] Nuclear Blast, wanted to hear my side of the story. The other guys wanted to do things solely on their timetable and also claimed that I need to go to rehab, which was just nonsense, because I've always delivered, live and in the studio — always. My plan was to go into the studio last year. If I had my way, IMMORTAL would have been on tour right now." He continued: "I just think they ended up being in it for the wrong reasons. They weren't showing any passion for what we were doing. "Even though my new band is called ABBATH, it finally feels like I'm in a real band — part of a group of musicians who have a great dialogue and share a passion for the music. It didn't feel like that in IMMORTAL for a long time."